It’s Celtic Connections Time Again! How the time has flown by! This time last year we were wearing our wellies and clearing out the mess in the restaurant after our massive flood brought down the ceiling and caused us to close for 3 months. Of course it had to happen just as the Celtic Connections Festival was starting in Glasgow so we missed all the festivities and our regulars who frequent the various concerts that are on daily, had to find another eatery sadly. 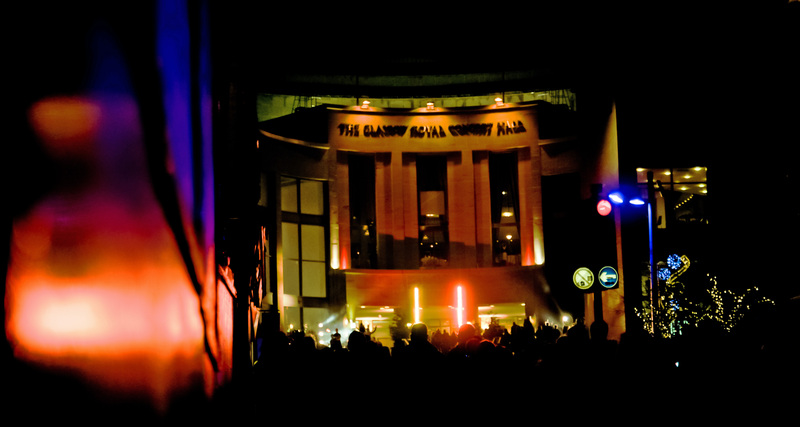 Although January is normally a dismal quiet month, the festival livens things up and brings people from all over the world over to enjoy a diverse variety of music in our lovely city of Glasgow. We have fiddlers, pipers, gospel singers, big bands, soloists, quartets, you name it, they are there. Hundreds of artists from all over the world, many of whom I have never heard of to be honest but a couple stand out. Eddi Reader as usual will be there, she performs every year at the festival. The one that surprised me most given that it is a Celtic festival is the appearance of the one and only Tom Jones! You wouldn’t normally associate him with Celtic music but then what do I know. No doubt he will have a full house of women throwing various items of underwear at him the poor man. The festival kicked off last night with a torchlight parade from George Square up Buchanan Street, past The Caprese and finished up at the Glasgow Royal Concert Hall. The torch holders were led by a pipe band thankfully otherwise we would have missed the parade had we not heard them piping their way up the street. Thankfully I ran out just in time to take a quick photo as they headed up to the concert hall. We were upset to miss it last year as we always get a lot of newcomers coming in from foreign parts because we are so near all of the venues for the concerts. Many of our concert goers are now concerned because we are closing down in February that they will not be able to visit us any more for their dinner before they go to the concert hall. Well, that may be right as we are not minutes away as we are at the moment but it is still a viable option. We are only moving a 5 minute drive away from where we are just now, 15 minutes walk so it is not too bad. We will be very near to the Kings Theatre which will help out a lot of people who frequent the various things that go on there but the numerous concert halls in Glasgow are still within easy reach. The time is really flying though. We now only have 42 days left before we close down for good. We have already had a couple of emotional moments with some customers who we will not be seeing again for some time, at least not in the Caprese anyway so we are only imagining what it is going to be like in the final week. We females of the Caprese are already bulk buying the waterproof mascara in anticipation! One thing that we will have to remember is to have the camera ready to capture as many moments as we can before it is taken away. All of these photographs will be coming with us to the new place so the memories are being preserved of our last 25 years in the Caprese so if any of you have any photographs that you haven’t sent to us already, please send me a message here and I will give you details of where to email them to. That’s it for now but back soon with more nonsense! 1 Response to It’s Celtic Connections Time Again! Looking forward to opening night.